ZHEJIANG DAOYUAN TRADE CO., LTD.
Zhejiang road industry and Trade Co., Ltd., is a professional engaged in blow molding trays, plastic pallets, plastic products production and sales as one of the production enterprises. Have a strong design team, pay attention to product structure, force and practicality, both in shape, and more important to use. 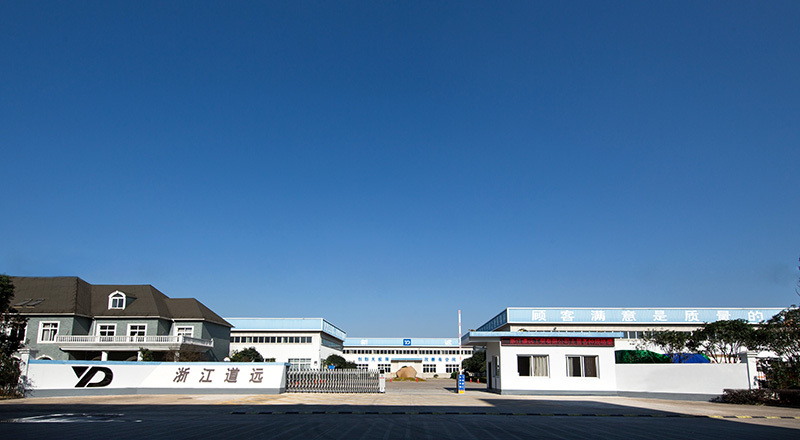 The company is located in Zhejiang Lishui Xinbi Industrial Park, covers an area of more than 30 thousand square meters, with modern production workshop. The company has large hollow blow molding machine, injection molding machine more than, the main production of various specifications of the injection tray, blow molding tray series, injection tray series. 1 million pieces of pallet products and 500 thousand other plastic products were sold in. It is a large plastic pallet production base in china. After years of development, China has become a professional manufacturer of plastic pallets, well-known brands of plastic pallets in china. The company continue to introduce international advanced technology, updated production equipment, improve production technology and testing equipment, expanding production scale, steadily improve the quality of products, we provided high quality products and service for customers to rest assured. Zhejiang road industry and Trade Co., Ltd., is a professional engaged in blow molding pallets, plastic pallets, plastic products production, sales and production as one. Dedicated to the blow molding industry for many years. Ltd. has set up a new pattern of design, production and distribution, specializing in the production process and work in the image design. After years of careful management, a trade experience management, rich industry, follow the "high standards of professional, classic and unique" requirements, with excellent customer service by the recognition and praise, and cultivate a group of top talent in the industry, has a professional service team. Go and established a perfect supply chain network, a close relationship with the number of the strength of the transport team, formed a strategic alliance of mutual benefit, to provide comprehensive services for our customers seamless. Copyright©ZHEJIANG DAOYUAN TRADE CO., LTD.